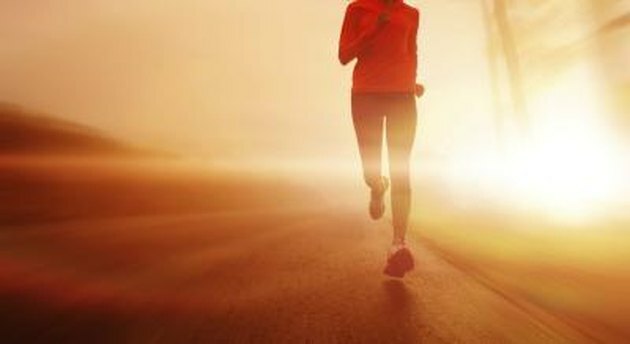 Although you may be tempted to head out the door on an empty stomach, eating before your morning run gives you energy and may inspire you to run that extra mile. However, the wrong pre-run snack could give you stomach troubles. Easily digestible high-carbohydrate foods with a moderate protein content will give you the quick fuel you need without weighing you down. A banana is an optimal pre-run snack because it is easily portable, doesn't require any utensils and can be eaten quickly. Bananas are also high in carbohydrates and potassium, an electrolyte lost during heavy sweating. 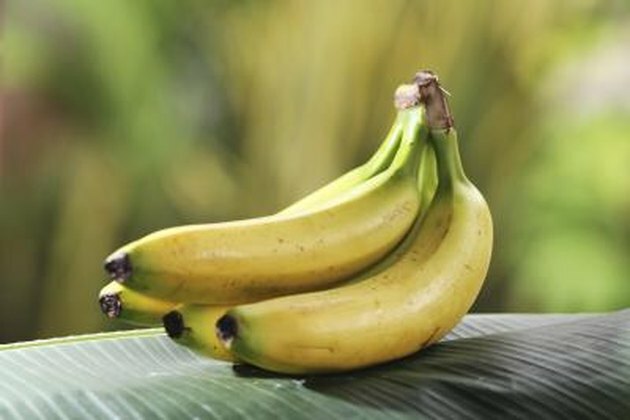 According to a study published in the May 2012 issue of "PLOS ONE," eating bananas before exercise maintained blood glucose levels and exercise performance similar to a commercial sports drink. However, bananas contain more antioxidants and nutrients such as vitamin B-6 and are typically a more cost-effective option than the sports drink. A smoothie containing fresh or frozen fruit, milk or juice, and wheat germ or flax meal is another easy-to-consume pre-run option. It is also a good option if your appetite is low in the mornings or you get nauseous during your run eating solid food. Liquid calories leave your stomach faster than solid ones and are therefore easier to digest. The liquid smoothie also rehydrates you after sleeping all night, ensuring that you don't go into your run dehydrated. 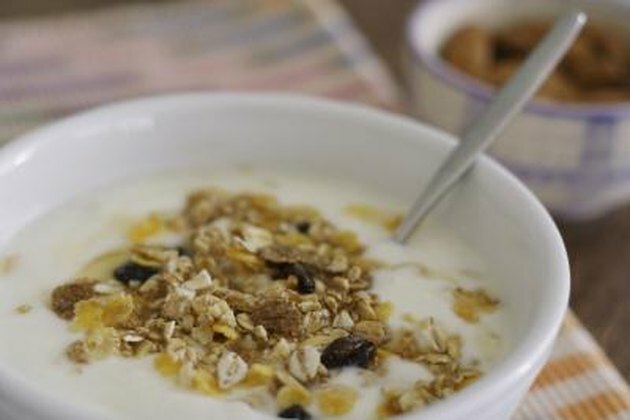 One-half cup of yogurt with 1 teaspoon honey and 2 tablespoons of granola is another pre-run snack option under 200 calories. Yogurt's soft texture makes it easy to eat, while the honey and cereal provide a combination of simple and complex carbohydrates, respectively. The simple carbs provide immediate energy to get you moving out the door, while the complex carbs help maintain your energy in the latter part of your run. The protein in the yogurt will also help keep you from feeling hungry in the latter part of your workout, which may also prevent post-workout overeating. A slice of bread contains complex carbohydrates, which provide sustained energy throughout the run. A thin layer of peanut butter provides a small amount of protein and fat, which promotes a feeling of fullness without weighing you down like more solid foods. This classic combination is just as portable and is much less expensive than commercial energy bars and is easily adaptable to what you have on hand. Half a bagel or an English muffin with almond butter or chocolate hazelnut spread provides similar pre-workout benefits. Your tastes and stomach sensitivities are likely different from your fellow running buddies, and your friend's favorite pre-run snack may give you a stomachache. Experiment with different foods and portion sizes to optimize your pre-run fuel. If you're racing, however, don't try any food that you haven't experimented with before a training run because this could lead to stomach troubles during your race. Huffington Post: Eat Before a Workout: Is It Necessary?